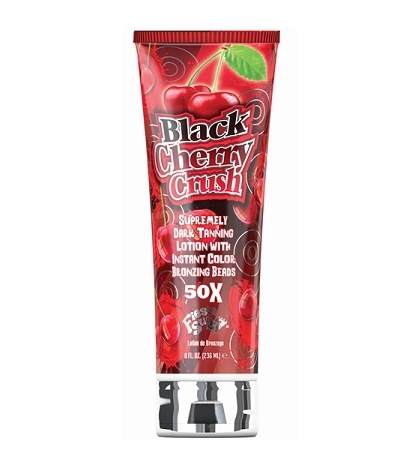 Black Cherry Crush™ Supremely Dark Tanning Lotion with Instant Bronzing Beads….Sweet juicy tanning magnificence! Deliciously ripe fresh cherry aroma. Aloe vera, pure coconut oil and healthy skin vitamins A, C & E for refreshed & rejuvenated skin. Supreme 50X bronzers plus magic color beads for an extra boost of bronze right now!